Various classes on democracy, technology and human interactions, and climate change for undergraduate and graduate students, and visiting scholars, Fall 2017. Various classes on big data, entrepreneurship, demography, inequality, and architecture for 150+ graduate students and visiting scholars, Spring 2017. Initiator and chair of the upcoming “Opportunities for Interdisciplinary Teaching (OFIT)” Series in the Humanities and Social Sciences. A recurring event at the University of California, Berkeley, 2016 sponsored by the Humanities and Social Sciences Association (HSSA) and co-sponsored by the Visiting Scholars and Postdoc Affairs (VSPA). In March 2016, I joined the Encore Metrics team dedicated to promoting and surveying Encore Network activities around the Globe (Encore Network). 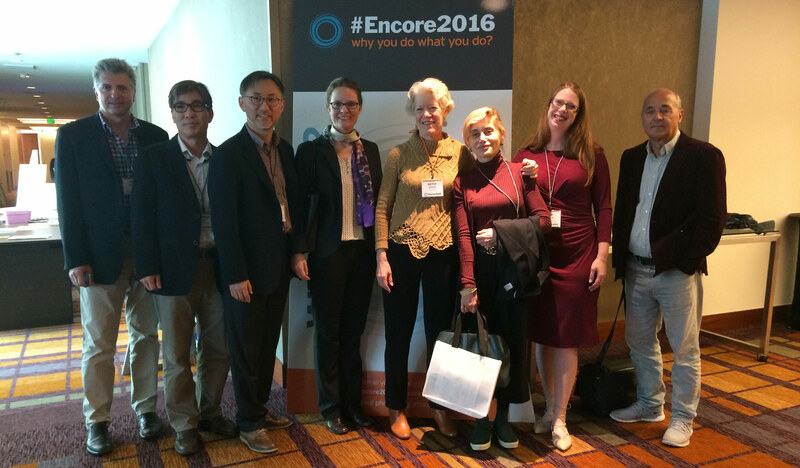 I am delighted for having participated at the Encore2016 (http://conference.encore.org/) held in San Francisco. Encore.org (http://encore.org/) is a non-profit organisation focused on engaging people in later life as a source of talent to benefit communities and younger generations.